Primary are delighted to host Emma Smith’s 5Hz exhibition this winter, as the first stage of touring project in partnership with HOME (Manchester) and Wysing Arts Centre (Cambridgeshire). Through the tour, a series of connected exhibitions and events will build upon each other, developing conversations around language and the musicality of the human voice. At the centre of the work is the idea of the human voice as a vehicle for social connection, and the tour will offer an opportunity to explore this with diverse audiences, across different languages. 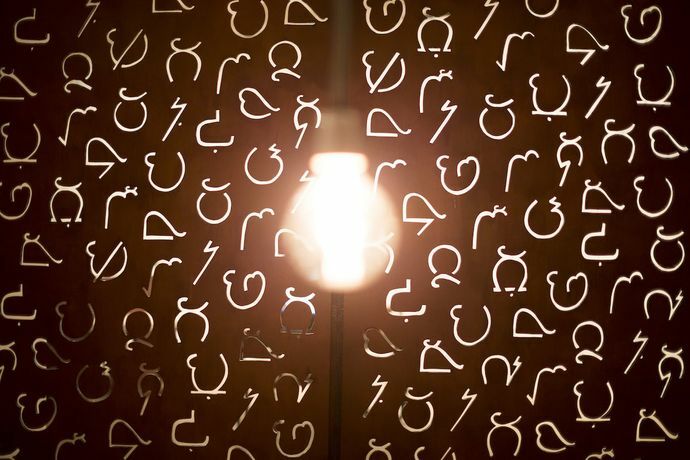 5Hz is a sound installation centred around the invention of a new singing language designed to strengthen social connections. Developed following a year-long research process examining psychological and neurological responses to the human voice, the 5Hz language comprises a set of sounds that transcend language barriers. Visitors to the exhibition can learn the language and begin using it within 15 minutes. Euphonia – which premiered earlier this year at the Bluecoat in Liverpool – is an ambitious new sound installation based on the musicality of social interactions. The work was developed through public experiments and workshops with world experts in music, psychology and the brain. In April 2019, 5Hz and Euphonia will be brought together for the first time at HOME in Manchester, followed by an off site live performance with Wysing Arts Centre in Cambridge in May.